Melissa Sanderson, vice president of international affairs for Freeport-McMoRan, was selected in the private sector. Arizona School for the Arts CEO Leah Fregulia was awarded in the public sector, and attorney Ashley Kasarjian won the young professional award. According to Fortune Magazine, only 5 percent of CEOs leading Fortune 500 companies are female. This is the 28th year the chamber has held the event designed to honor the work of dynamic women across the Valley. From industries such as law, nonprofits and business, there were 11 finalists in the categories. 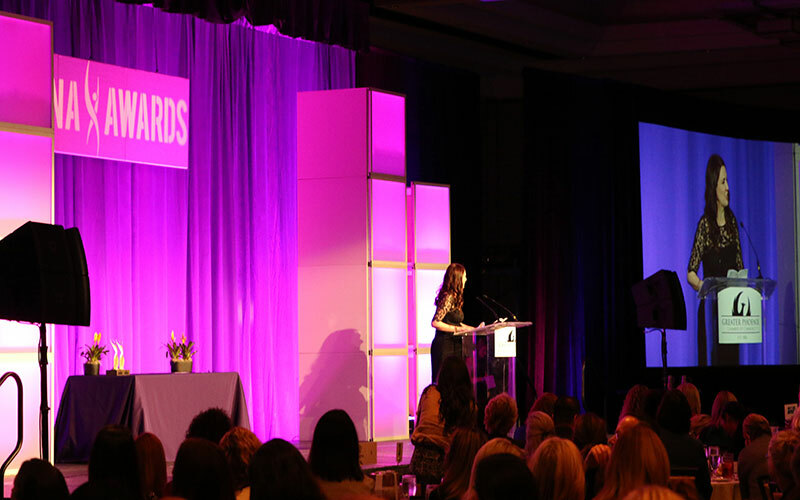 The winners were introduced with a brief video during the luncheon held at the Arizona Biltmore. Women-led business created an estimated $1.4 trillion in revenues for the U.S. economy in 2014, according to a report commissioned by American Express. Arizona ranked 19th in the nation and is among seven states with a high growth rate in the sector since 1997. 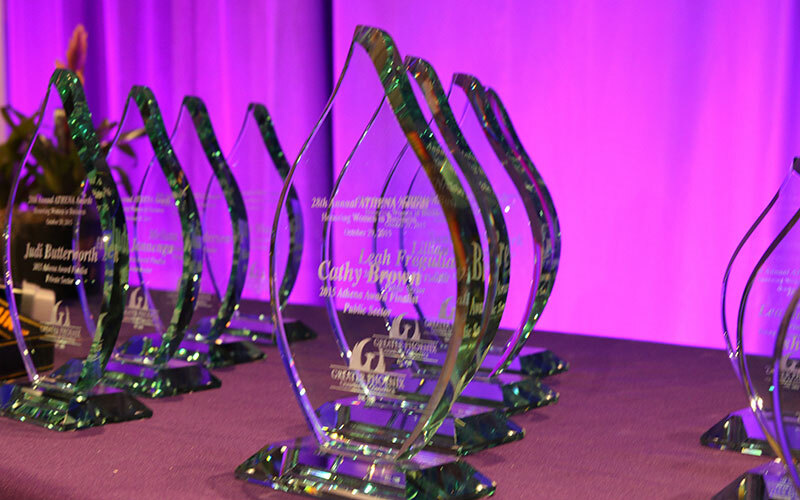 Deliberating in the categories of leadership, community service and the mentorship of other women, a panel comprised of past winners and corporate sponsors selected three winners from 51 nominees statewide. Not only are all of the finalists successful in their professions, she said, they are also role models to their community, adding that they are initially nominated by their co-workers, mentees or friends. Kasarjian, a lawyer for the firm Snell & Wilmer who often works pro bono for charitable nonprofits and clients in need, said the award carries an additional responsibility.